I was entirely away on that special GNU day, so here is my interview which is being posted on this belated anniversary. For information about the anniversary, see the message from FSF Europe or Linux Magazine. The GNU Project celebrated its 25th birthday on September 27, 2008. With its GCC compiler and bash shell, GNU was ever at the forefront of today’s Linux distribution. To kick off the celebration, British humorist Stephen Fry appears in a video in defense of free software. 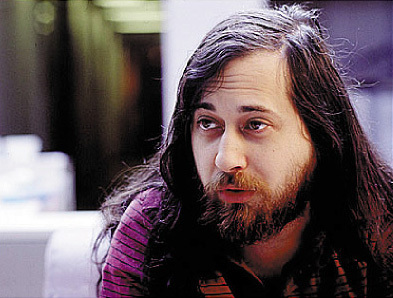 When Richard Stallman announced the GNU Project back in 1983, he planted the seeds of what rapidly evolved and recently became a revolution that transforms entire nations. The Free Software Foundation, which was also created by Richard Stallman and now sponsors the GNU Project, has probably become a center of attention to those who are affected by the most widely-used software license, the GNU GPL. We discussed some of the more recent developments with Richard Stallman, whose passion for freedom in computing remains intense. The following Q & A explores the goals of free software, progress that has been made, and ways to maintain or instill freedom in software that we use. Q: In the past few years we have come to find a number of countries which decided to embrace Free software as a matter of policy. Many people attribute such milestones to your travels around the globe. Richard Matthew Stallman: They may be focusing too much on me personally and giving insufficient credit to the rest of the movement. In Ecuador, I personally won the support of President Correa, but that’s the only such case I remember. In other countries, other people did most the persuasive work. For instance, the activists of FSF India persuaded the government of Kerala to begin the migration to free software; I could not have done that. the GNU General Public License version 3 (GPLv3)? RMS: It is only occasionally that I have a large project such as GPLv3. free software, and I do it mostly by answering emails such as yours. so the program does what you wish. programmers to make the changes you would like to use. community’s way of life with the ideals of freedom I had learned. users the freedom to cooperate and to control their own computing. However, my focus on this particular issue of freedom doesn’t mean I’ve lost interest in others freedom issues. It’s simply that this issue dropped in my lap: I, as a software developer, had a responsibility to fight to end unethical practices in software development. If I did not do so, I would be a victim of them, and very likely at the same time a perpetrator. so-called “critical mass” needed at all? the cause of freedom by legitimizing the denial of freedom. freedom and social solidarity and focus only on practical convenience. mimic Microsoft technologies and bring their functionality to GNU/Linux. what software patents are, and what they do. and use of certain programs, we call it a software patent. and we designed version 3 of the GNU GPL to thwart that scheme. install Moonlight and accept such changes in the World Wide Web? pressure on those that don’t. Q: What about Adobe Flash and its equivalent viewers, such as gnash, which is Free software? making progress, but we had to wait years for this. for their own freedom made them vulnerable. Q: Research shows that the GPLv3 is gaining acceptance. In the mailing lists of the Linux kernel, a hypothetical scenario was described where Linus Torvalds et al might consider upgrading their kernel’s license to the GPLv3. This scenario involved Sun’s OpenSolaris (project ‘Indiana’) and its choice of a license. What would you say is the greatest advantage for a kernel — any kernel for that matter — in adopting the GPLv3? Linux, including the users of the combined GNU/Linux system. to make it do what you wish) into a theoretical fiction. needs to move to GPLv3. Q: Simon Phipps (of Sun Microsystems) has spoken about the GPLv3 on numerous occasions and he even inquired to see what Bob Sutor, Vice President of Open Source and Standards at IBM, thought about it. If Sun decided to embrace the GPLv3 for its software, including OpenSolaris, would you be willing to endorse OpenSolaris? RMS: OpenSolaris is already free software, and I can endorse it as such. when choosing between free programs, the main factor is practical. believe that there are dangers that he is not aware of? to your freedom posed by tivoization. sometimes play are included in the gNewSense distribution which I use. Must have been a big slap in the face, huh Roy? Thank you very much for this excellent interview because I never bothered with Stallman until I began reading Vandana Shiva and John Pilger.